Jefferson Counties leading catastrophe cleanup contractor. Specializing in helping property owners recover from fire and flood damage disasters. Restore your property to pre-loss condition quickly with our team of certified Pros. Call now (205) 277-7240 for priority service. The aftermath of any type of home damage can be perplexing, and you may be wondering where to start. The first step after sustaining any home or business damage is to call certified, reputable professionals. Service Restoration of Alabama has the experience, equipment, and manpower to restore your property quickly and efficiently. We are the number one restoration company in Alabama, rated this highly because of our exemplary services that we provide to our loyal customer base. If you need the job done right, then call the seasoned professionals at Service Restoration of Alabama! 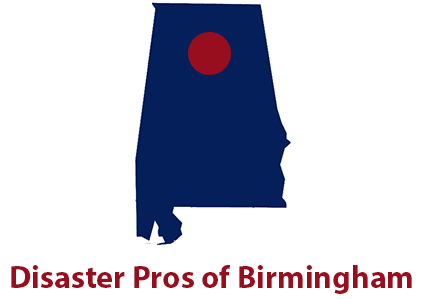 We are the leaders in emergency response in Alabama, as we believe quick response time is essential to restoring a property back to pre-loss condition. Many home and business owners try to tackle home restoration situations on their own, but little do they know they could be causing more damage in the long run. It is vital to call a team of professionals to come out and assess the damage before undertaking any of the repairs. Our technicians have been IICRC certified, meaning that they have the training needed to expertly spot things that the untrained eye may miss. We also have the industry’s highest tech equipment, which makes restoring your home much easier! This saves you time and money in the long run. If you are considering calling a restoration company to come and help you restore your property, call Service Restoration of Alabama! We are ready for your call, day or night!